Hi folks! Sorry for the long radio silence, but I'm here to announce the next big feature for Sprytile's release! The next release of Sprytile will add a decal layer on the meshes you create. Initially, this is being implemented as mesh decals for the sake of simplicity, but eventually the plan is for Sprytile to support UV2 decals as well. You can watch a sped up demo of the feature in action in the video above. If you're interested in trying out this feature and don't mind helping find bugs or giving feedback on a rough workflow, you can use Sprytile's update system to opt into the beta. 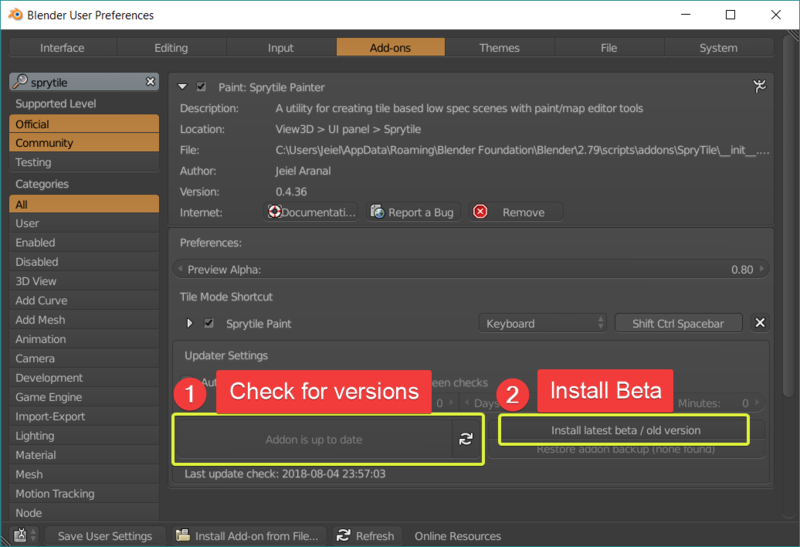 If you've already installed the latest version of Sprytile, open Blender's user preferences and switch to the Add-ons tab. Search for Sprytile on the left and open the Sprytile settings to go to the Updater. In the updater, press the left button to check for updates and then install the beta version with the right button. Select the Beta version and click OK to install. You can easily switch back to the latest stable version of Sprytile using this system as well. Feedback on the decal feature is very welcome on the community forums or the Discord chat. While I can't give a solid release date for the next version of Sprytile, I would like to release it before August 18, 2018. For Sully's Sketchfab pixel 3D challenge, iLkKke crafted this amazing 3D model with some help from Sprytile. 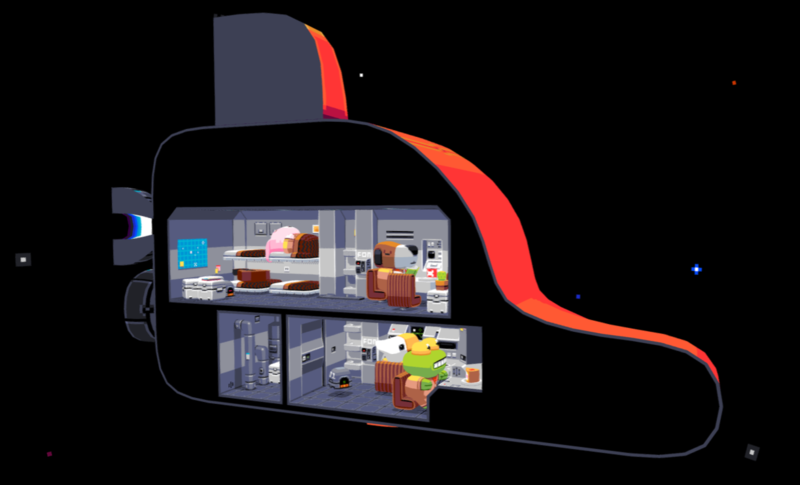 Check it out on Sketchfab to pore over all the fantastic details! For more regular updates on Sprytile; low poly pixel art; and bad puns follow me on twitter @chemikhazi!